In a letter sent to Maryland's U.S. House and Senate members Wednesday, Hogan urged them to "strongly support the transfer" of the parkway from the park service to the state of Maryland. Maryland Gov. Larry Hogan is ramping up his criticism of the National Park Service as he pushes for a state takeover of the Baltimore-Washington Parkway. In a letter sent to Maryland’s U.S House and Senate members Wednesday, Hogan urged them to “strongly support the transfer” of the parkway from the park service to the state of Maryland. A bumpy and damaged stretch of the B.W. Parkway in Laurel, Maryland, remains a major problem for drivers even after the speed limit was lowered to make things safer. Earlier this month, the park service reduced the speed limit from 55 mph to 40 mph between Maryland routes 197 and 32. Still, vehicles are frequently seen pulled over to the side of the road with damaged tires. Sen. Chris Van Hollen, D-Md., told WTOP he is also critical of the situation and that he looks forward to discussing the issue with the governor next week. Van Hollen did not commit to the governor’s proposal for Maryland to take over responsibility for the parkway but said he is willing to consider it as part of a series of transportation proposals the governor is making. The first priority, Van Hollen said, is fixing the current situation. “The main thing is let’s get this thing repaired right now, then we can, of course, consider the larger questions involved with the full transfer of that right away to the state of Maryland,” Van Hollen said. 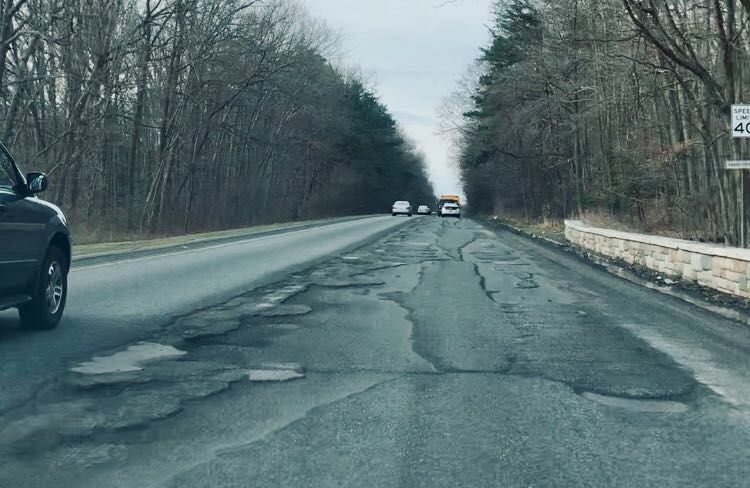 The winter weather has taken an especially harsh toll on the parkway this year, and it’s been a challenge for crews to keep up their efforts patching up potholes and fixing other deteriorated areas. “Every day that conditions allow, we have workers out on the parkway working to improve conditions,” said National Park Service spokesman Jonathan Shafer. A long-term fix is in the works, the park service said. It’s part of a multiphase initiative to repave all 18 miles of the parkway. Still, Hogan said Maryland should have full control. Hogan has voiced support for a plan to add four toll lanes, two in each direction, to the parkway. WTOP’s Mitchell Miller contributed to this report from Capitol Hill. WTOP’s John Aaron also contributed to this report.